Send me an email requesting to speak with me for few minutes on the phone. Include a sentence or two about why you are interested in coaching. Include your phone number and some days and times to reach you. Below is a sample email that you can cut and paste into your email to me and just fill in the blanks. I will then call you as soon as I am able. There is no charge for the phone call. I want to ask you a few questions and I want you to be able to get your questions answered. Usually this takes 10-15 minutes on the phone. 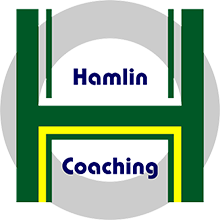 Once we speak on the phone and we both agree to go forward, we will schedule your first coaching session, and I will send you a few forms that you will complete and return to me. Make a payment using the secure payment form below before our first scheduled appointment. If you use this format for the email you send to me, it may help things move a little faster. Please note that I would like you t read my Quick Start Guide to Coaching before you send me an email requesting to speak to me on the phone. If you haven’t received it or read it yet you can get it here. My name is [Your Name Here]. I am interested in coaching because I would like to be more effective in [replace with 1 or 2 sentences in your own words]. I have read your Quick Start Guide to Coaching, so I have some of my initial questions answered. I look forward to speaking with you. I hope you will dare to imagine what life might be like during and after coaching!